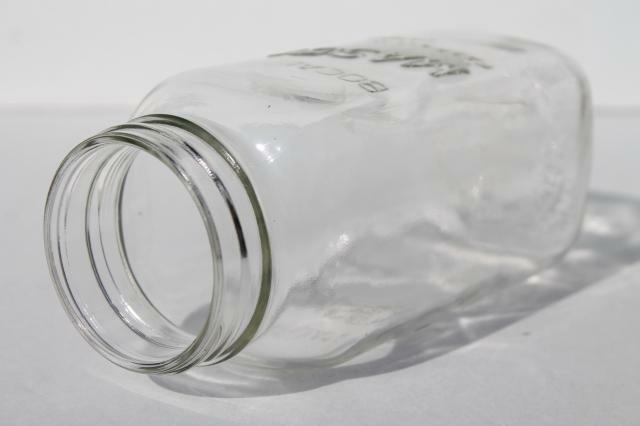 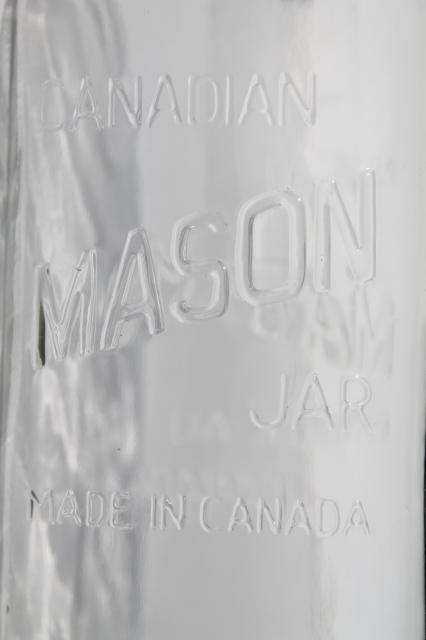 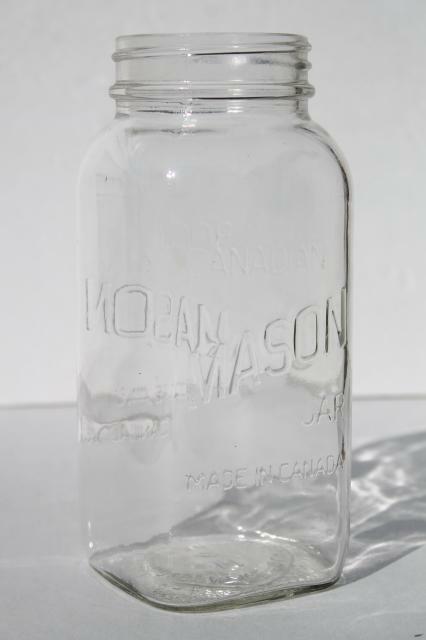 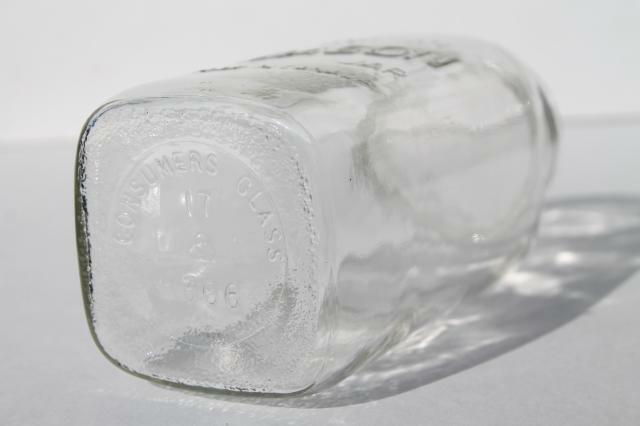 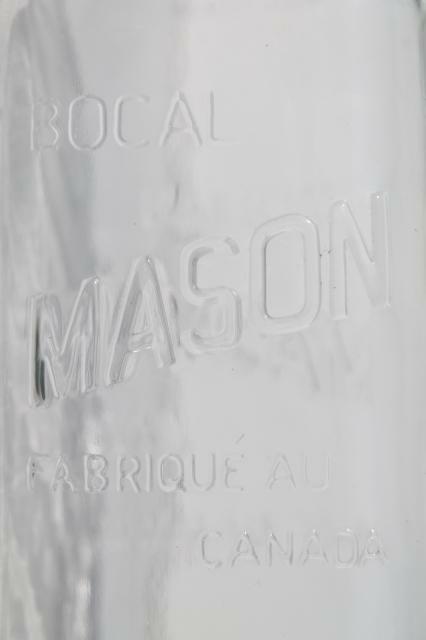 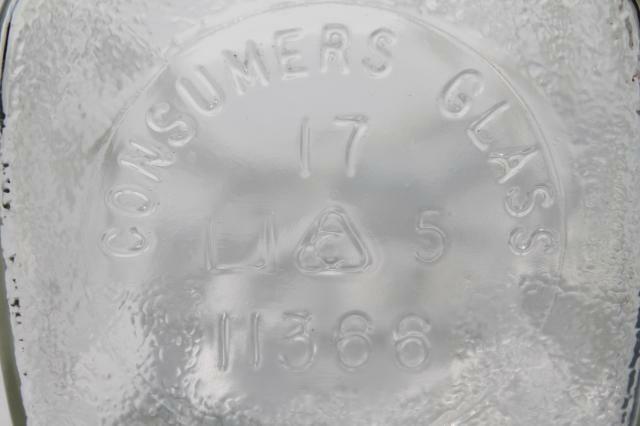 Unusual vintage clear glass Mason jar marked Made in Canada. 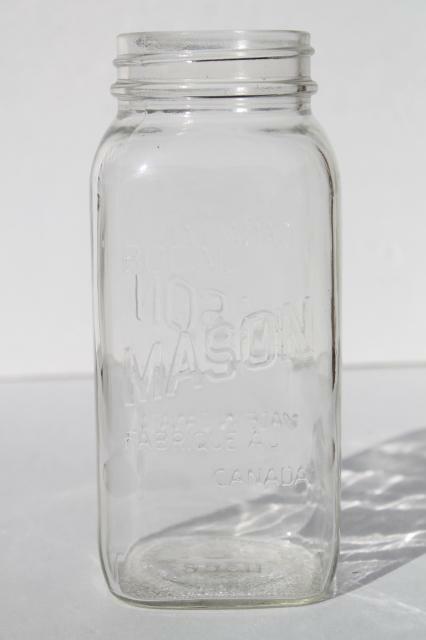 It's a squared shape one quart size jar, about 7 1/2" tall. 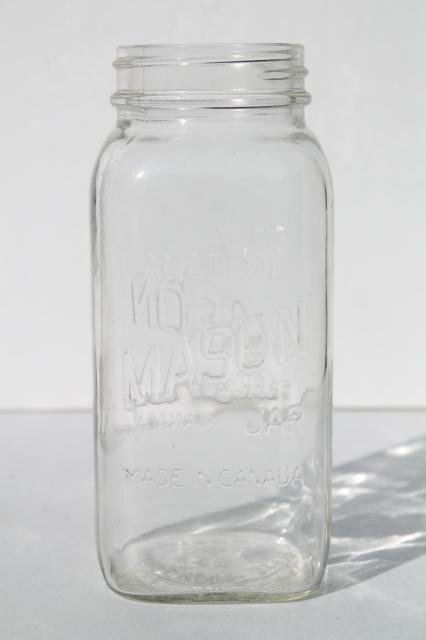 This one is in very nice condition (no lid).